At Learn Driving UK we absolutely treat you as an individual and train you accordingly. In over 20 years training people to do this demanding but richly-rewarding job, I have yet to meet two clients who needed the same “cap fits all” training course. You are not another number! You are an individual who deserves, and will receive, our very best customer service with the ultimate goal of qualifying as a confident and successful driving instructor. You can start applying to become an approved driving instructor (ADI). You need to get a criminal record check from the DVSA. This can be done online. When you have your criminal record disclosure, you can apply to become an ADI. You can also read DVSA’s guide to the ADI register. 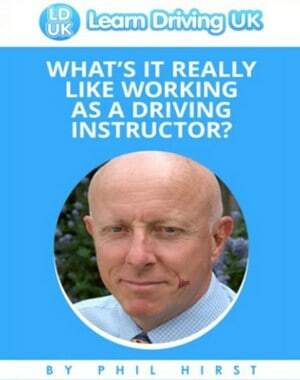 How do Learn Driving UK run their courses? You will benefit from plenty of help during study for the part one test. You receive guidance and support on the part one study guide and recommended books and DVD. In-car training will bring the theory to life. Cutting corners at this stage could lead to problems during part three. Many trainees simply practice answering questions. A detailed knowledge of the theory is vital as a strong basis for a successful career as an instructor. For part two, you benefit from 12 hours of in-car tuition to place you in the top 1% of drivers in the country. You may have a lot of driving experience but probably have developed some incorrect driving habits. Driving techniques have changed a lot over the years and so you will need to be brought up-to-date. You’ll benefit from extensive instructor training (45 hours) and this is where one-to-one training really makes a difference. Sharing a car with other trainees is not a smart move. You would be diluting your training experience rather than maximising your time. You need, and will receive, our full attention. How much training do I receive from Learn Driving UK? Simply enter your details into the form below and we will send you a copy of the "What's It Really Like Working As A Driving Instructor?" book. I agree to Learn Driving UK Ltd collecting & storing information from this form to process my enquiry.